The color green is a wonderful shade because its various tones look beautiful against most skin tones. 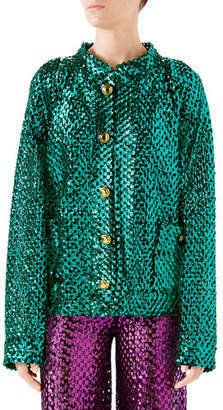 From olive to emerald and lime to teal, the variety is practically endless. Red-haired women look especially stunning in all shades of the color, and green always seems to be in vogue for beauty and fashion. When it comes to a cozy, warm sweater, the color is inviting, attractive, and matches so many ensembles. In fact, there are so many shades of green in the natural world that green is often called "the color of life." The finest shades and textures of green sweaters can be found online at all price ranges. The season is showing many cool sweater designs with attention to the sleeves. 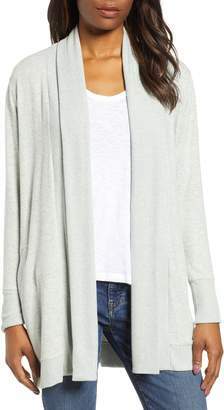 For example, the Tiered Sleeve Sweater looks like a modern V-neck pullover, but one glance at the sleeves, and it's a fresh new style. This beauty in the shade Green Park features ruffled bell sleeves for the most romantic boho vibe. 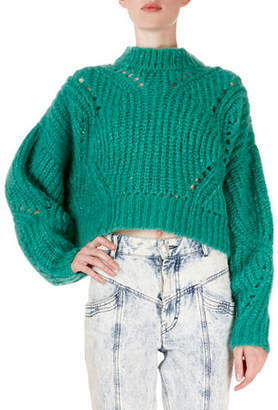 Another style in fabulous green sweaters comes from the famous Topshop. 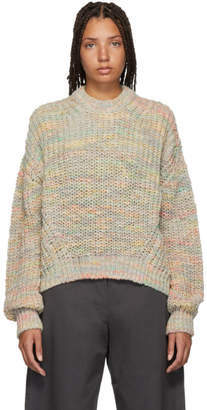 The Button Slash Knit Sweater is right on trend with an oversized style and large buttons that line the shoulder. 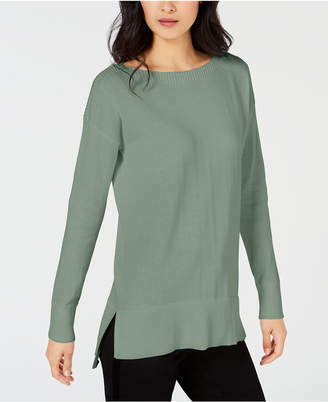 The envelope mock neck is super cute, and the rib-style fabric design of this sweater looks contemporary. Green sweaters like the long open cardigan from JC Penney is a stunner in classic, bold emerald green. It's a versatile piece that looks beautiful with jeans, dresses, sweats and more. The fabric features a stretchy rayon/nylon blend for a figure-hugging look and is of a thinner weight for more versatility and ideal for every season. The length is just right at mid-thigh, and the cardigan also goes nicely with boots. Sweaters are a staple in every woman's wardrobe and come in so many textures and styles. Green sweaters are a great pop of color to break up the neutrals that are normally associated with fall.